NaturaLux™ filter tube guards are primarily designed for use in open troffer fixtures. They may also be used in fixtures that use parabolic (egg crate) louvers. 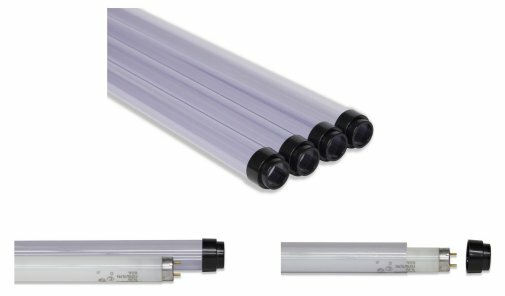 The fluorescent lamps simply slides inside the tube guard sleeve; the end caps are then fastened at either end, and the now encapsulated lamp is ready for installation into the light fixture. It's just that simple! All of the color-correcting, UV-absorbing, glare-reducing features common in all of our NaturaLux™ products are ready to go to work for you.